You are currently browsing the category archive for the ‘Cymbal Set-ups’ category. 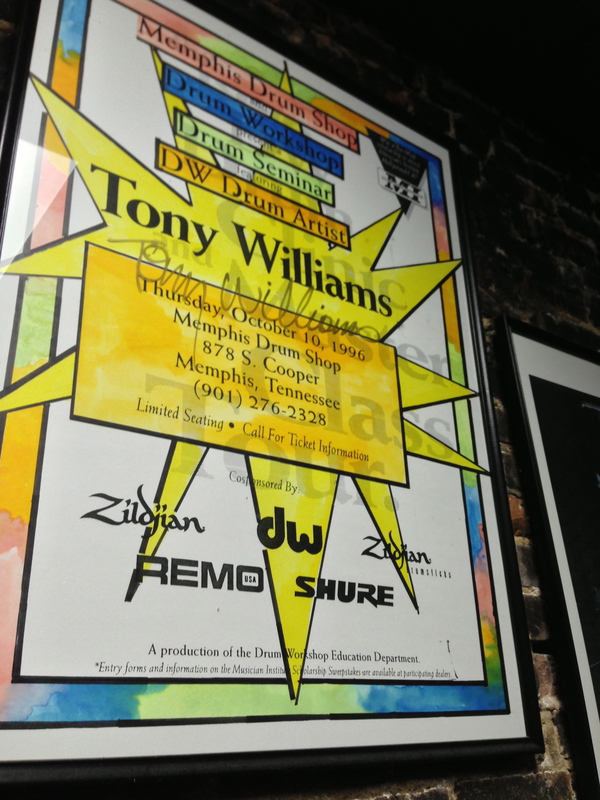 A promo poster from a clinic Tony did at MDS. 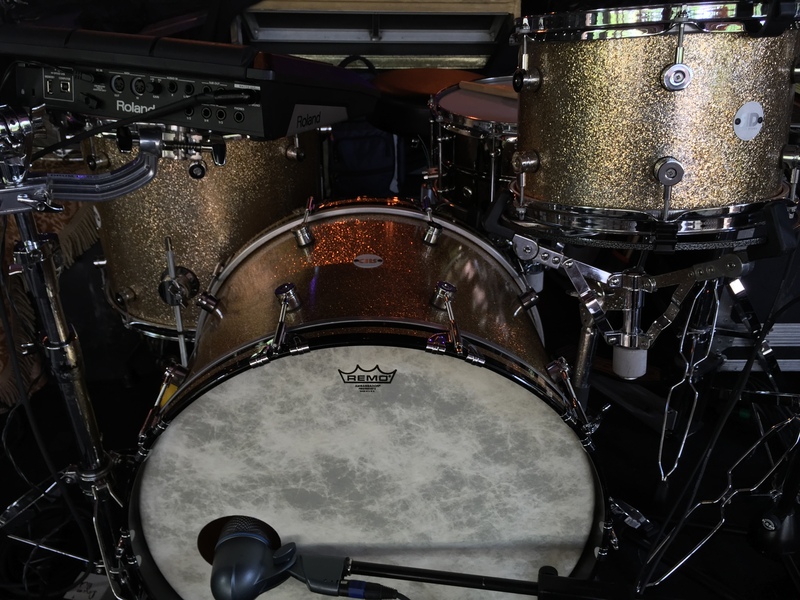 One of Steve Jordan’s kits, complete with gaff tape on the floor tom. 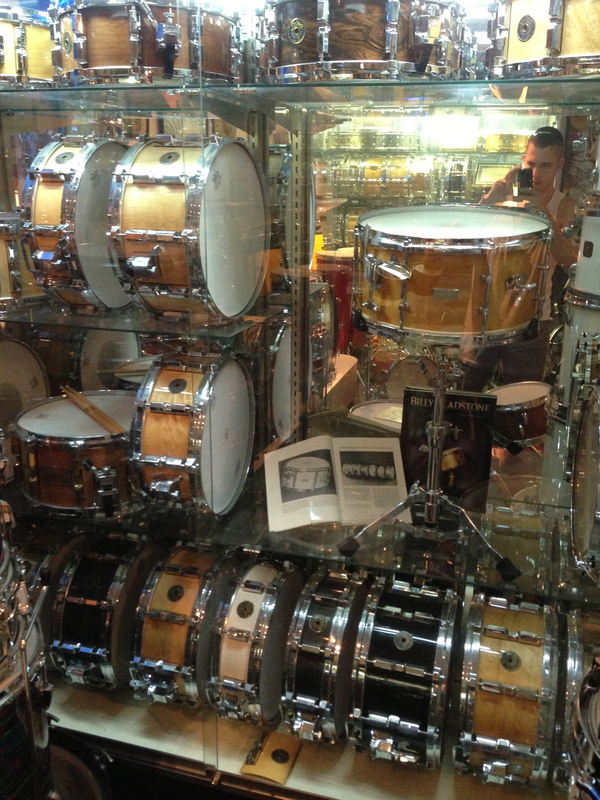 I had a wonderful experience at Memphis Drum Shop last week when the Sara Bareilles tour was in Tennessee for a day off. That place is amazing. The cymbal selection is apparently the largest in-stock assortment in the world, and I was able to play a bunch of cymbals that I’ve never seen in person before. However, my favorite part of the store was the vintage room, showcasing owner Jim Petit’s incredible collection of old drums. 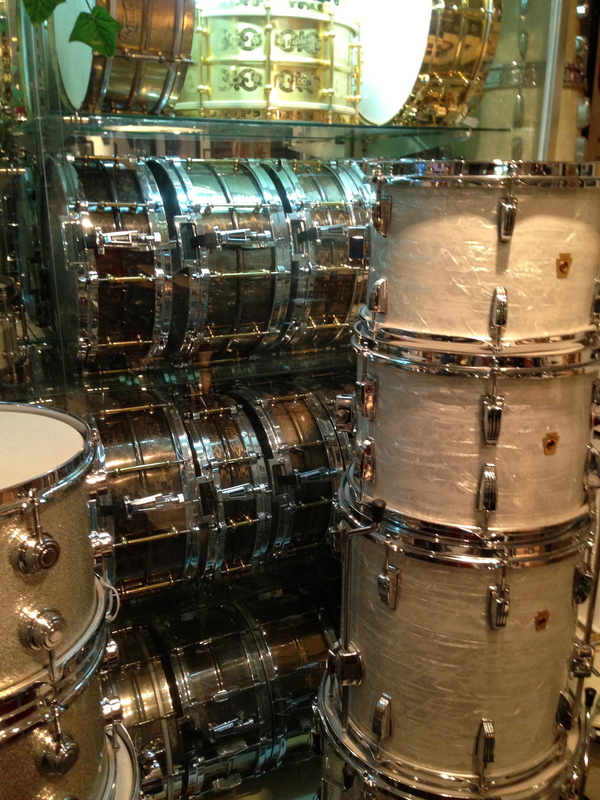 A collection of old Black Beauty snares… etched and engraved models, nickel-plated models, etc. 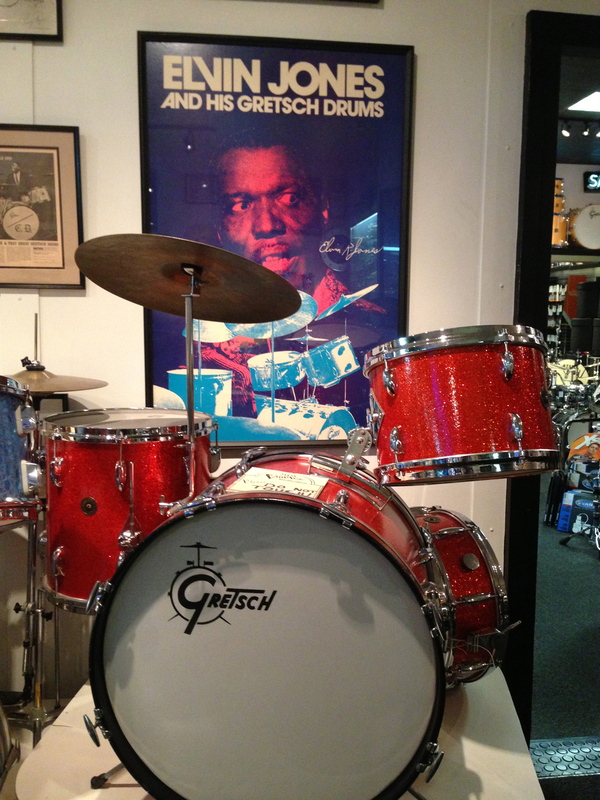 One of Elvin Jones’ Gretsch kits. NBD. A collection of rare Solid snare drums, the first company to manufacture single-ply snare shells. 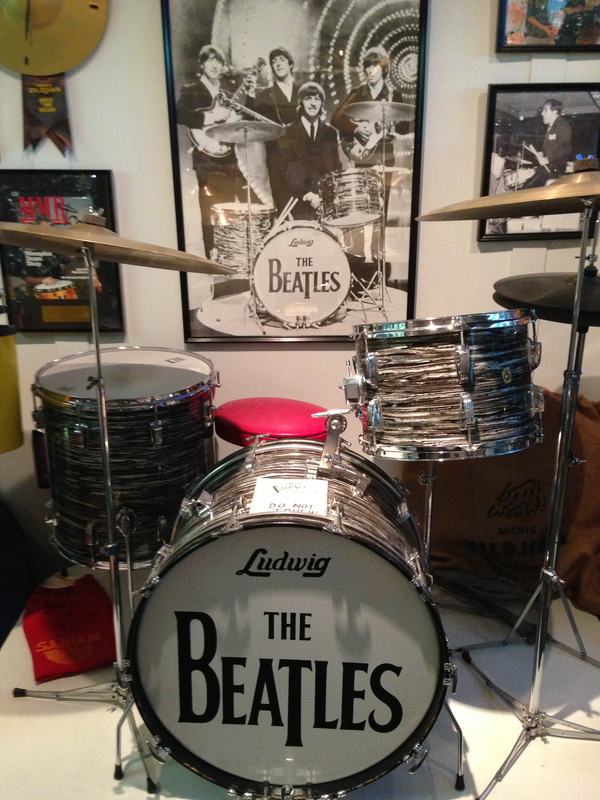 One of Ringo’s kits. 13/16/22 Super Classic in black oyster. I take that back, my FAVORITE part was the gong chamber. This is the only place in the world where multiple 60+ inch gongs can be played in the same room. Jim even has a once-a-month “sonic massage” session where he plays the gongs in succession while the massage clients experience the audio presence and force that only large gongs can produce. He gave me a sampling of this experience and it was incredible. 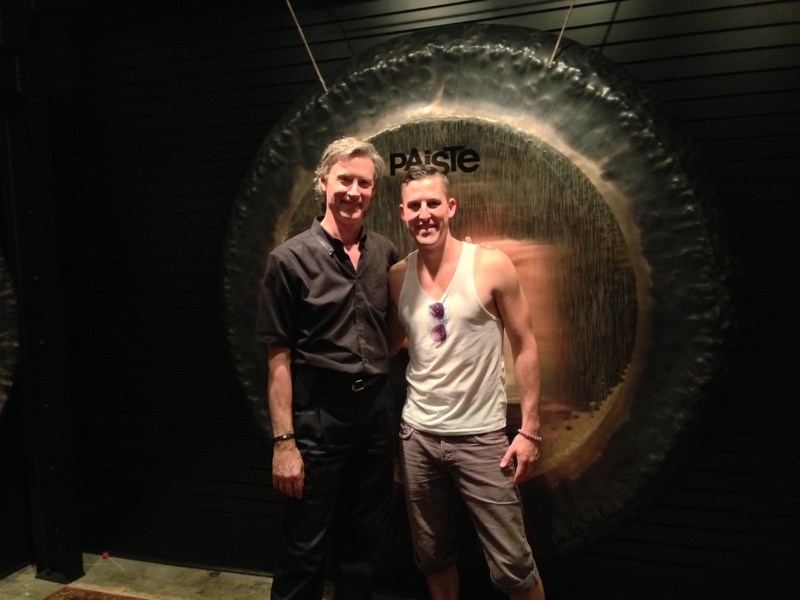 Jim and I trying to look natural with an 83″ gong behind us. 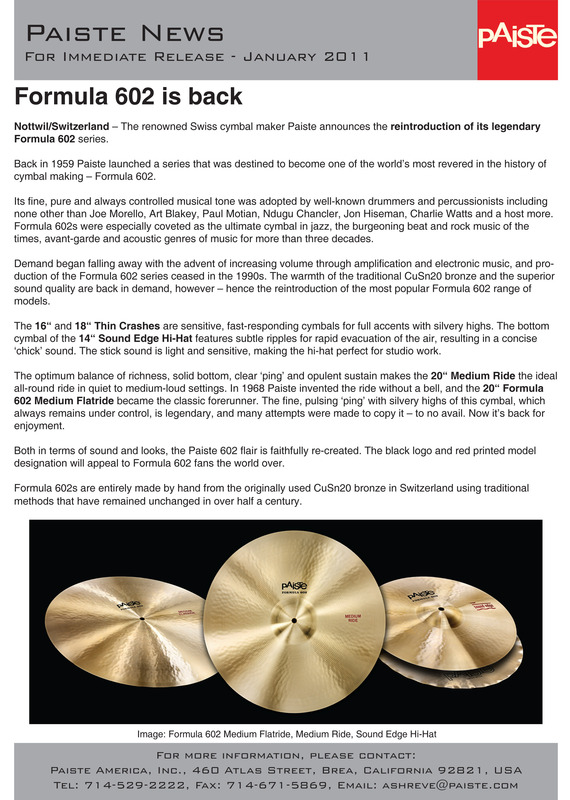 Lastly, I was beyond honored to be recognized by one of the employees as a Paiste endorser, which led to an invitation to film a few demo videos for mycymbal.com, the online store for MDS’s mammoth cymbal stock. 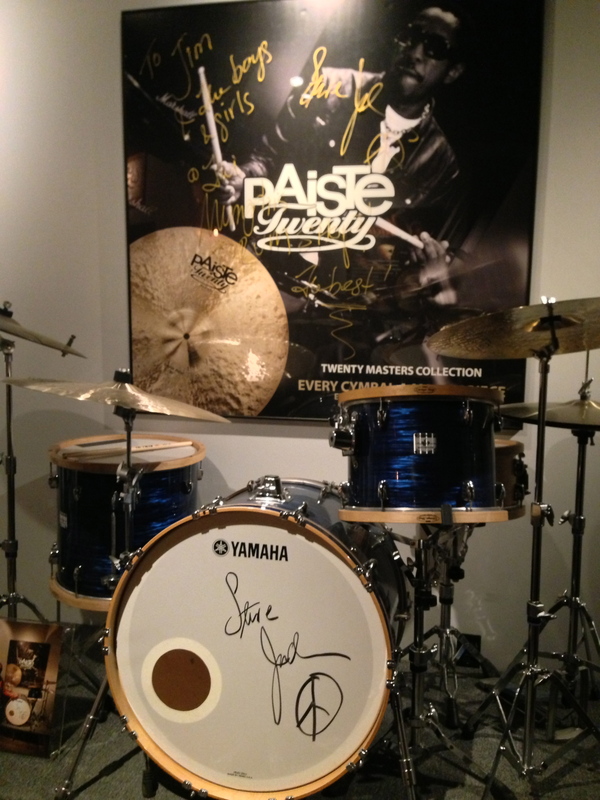 This is where I was able to play a bunch of cool rare/new Paiste models. It was a total blast. 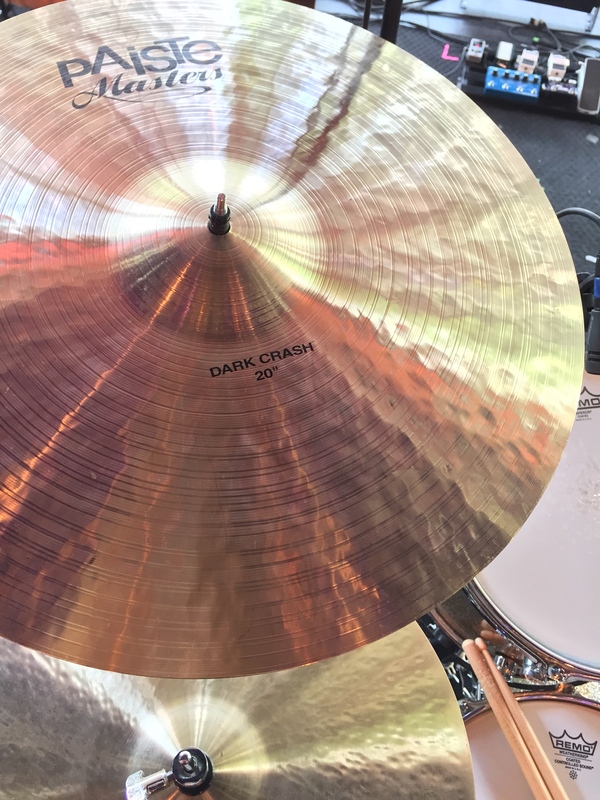 My favorite of the demos was the 17″ Steve Jordan style Traditional-over-Dark-Energy hihats. All the videos can be seen under my name on the special guest section of the website. Best day off on tour ever. I think this photo was taken during soundcheck. Either that or there were less people at this show than I remember. I’m in the middle of 8 weeks of Owl City shows, most of which are openers for Maroon 5 on their North American 2013 tour leg. I’m using pretty much the same rig as this past Fall, but with a couple changes. – No more side snare with a trigger. We played a bunch of shows overseas and couldn’t bring extra gear, so I had to get used to playing those samples on the Roland pad. I think I like it better now that way. – I’m using my black brass snares this time around, instead of the 15″ glo kit snare. I have both the 5×14 (cranked tight) and the 6.5×14 (tuned pretty deep) with me, and I switch them out about 4 or 5 times throughout the set. – Paiste Traditionals are almost always my cymbals of choice, but a brighter cymbal setup for these big rooms makes more sense. 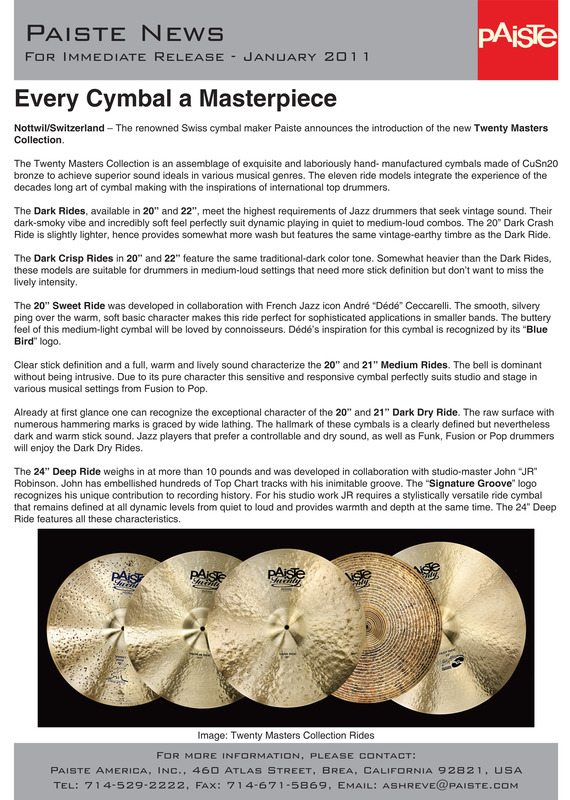 I’ve got a 22″ Twenty Custom full ride, 20″ Twenty Custom full crash, 20″ Twenty crash, 16″ Twenty Custom crash as hihat top, and a 16″ Twenty med thin hihat bottom. 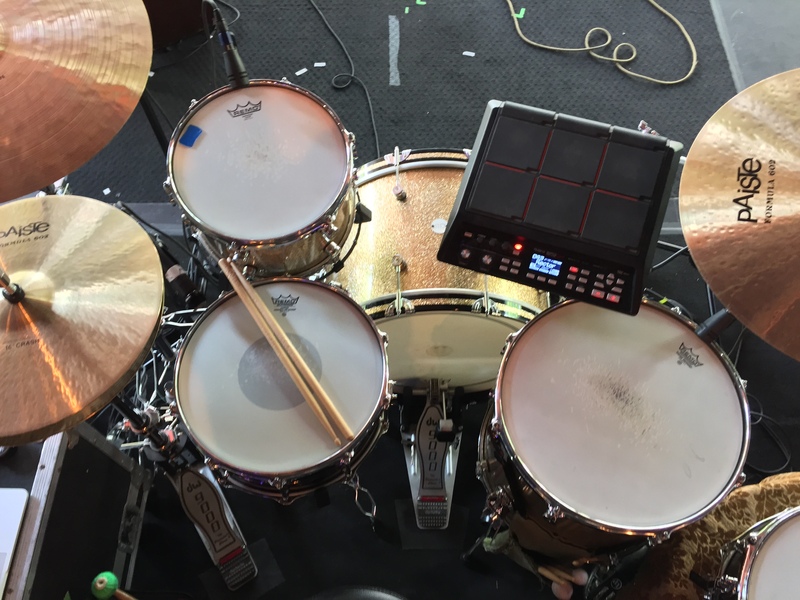 Here’s a great follow-up to yesterday’s post about my personal cymbal rig. This is Ed Clift talking at length about Paiste’s products and their approach to cymbal making. His rig is… well, pretty serious. I mean, obviously it’s over the top. He works for Paiste as a sales representative, not as a player, though the guy can play. So I think he gets a pass on maybe having too many cymbals. Ha. PS. We shot this video at a gig last night while I was getting some footage of my new 18″ hihat set up. I mentioned a few months ago that I’m going to keep non-educational posts on this site to a minimum and start doing more of that over at my Tumblr page instead. 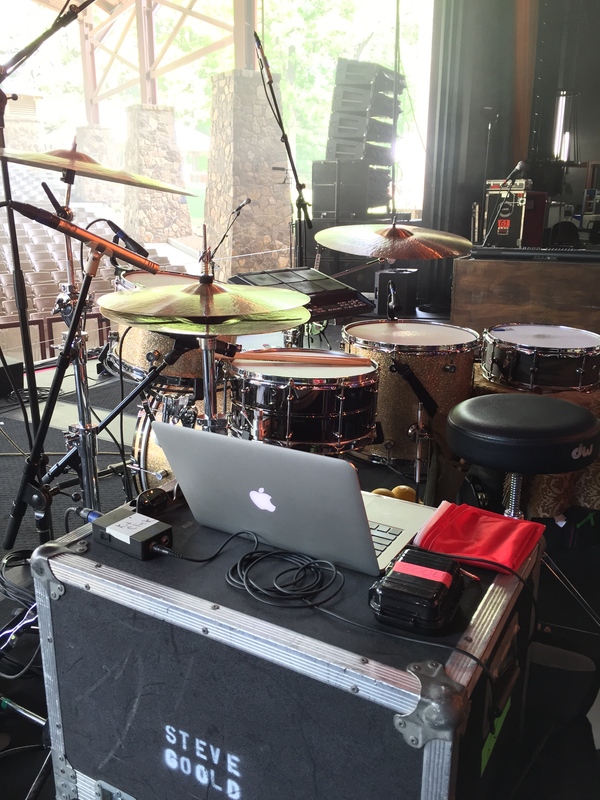 I’m currently giving a photo/video tour of my Paiste rig over there, so check that out if you’re interested. Paiste just put together a very cool “morph” video to demonstrate the difference between their various cymbal lines. Youtube video lesson hot shot Mike Johnston plays 8 bars of the same pattern on the same kit in the same room with the same mics, and some slick audio/video editing allows the viewer to watch and listen to the cymbal rig change on every repeat. It’s a pretty cool trick and really shows the difference between the various options in the Paiste roster. Great idea, Paiste. If I was made of money I would do this kind of thing with a lot of my personal gear just for my own research. 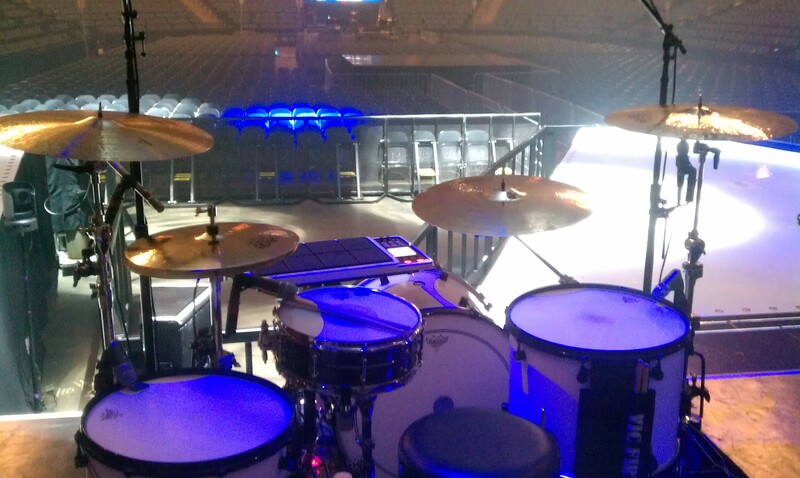 I got some more new Paiste cymbals this week… a full set of Giant Beats. They are so boss. Giant Beats were made back in the late 60’s and used by John Bonham until they were discontinued and replaced by the 2002 line in ’71. They were reissued a few years ago, and I’ve just now been able to get a set. The rig is 15″ hats, 18″ and 20″ crashes, and a monster 24″ ride. The ride is seriously one of the coolest sounding cymbals I’ve heard in a long time. Ryan Paul and the Ardent shot some local tv stuff the earlier in the week, and I brought the hats and ride. And then I used the full set last night at a Sanoski gig. UPDATE: It turns out the RP&TA video shoot was actually for a website devoted to Minnesota Arts. The stuff we filmed that night is now up and streaming. Check it out. I just posted some cymbals on Craigslist. Check them out and email me if you want any of them. They’re all killer sounding instruments, but the truth is that I don’t need them. I have a hoarding tendency when it comes to my gear, and I’m trying to get over it. I have too many cymbals right now, and the cymbals that aren’t getting played should really just be played by someone else who will appreciate them. UPDATE: The cymbals are all spoken for at this point.